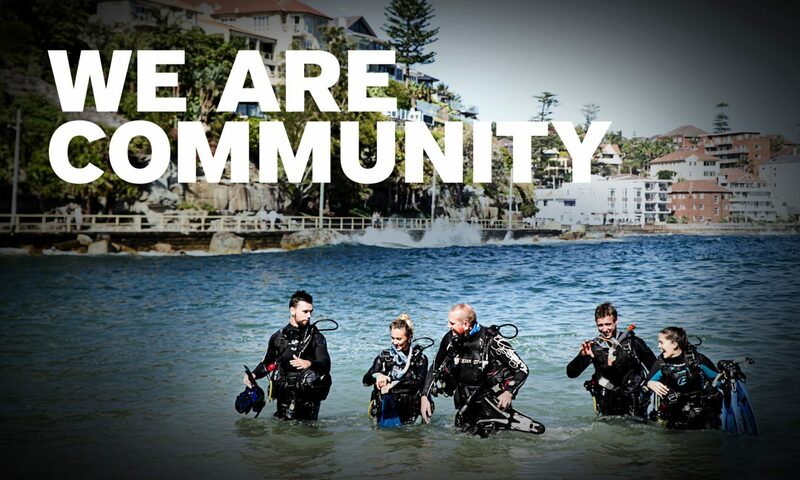 Geo Divers a PADI 5 Star Instructor Development Centre in Parramatta, NSW have an ongoing program in place with the PCYC, (Police Citizens Youth Clubs) formerly the Police Boys Club and have been involved for around 18 years. As part of the program for a bonding activity, the PCYC from Greater Western Sydney’s Western Metro Zone – consisting of 5-6 clubs, get together every quarter to take part in an activity that involves the Police Case Officers and youth on their programs. The event is a reward for the Youth and Mentor from each PCYC district that have achieved their goals during the program. On Wednesday 24th July, 2013, Geo Divers organised and sponsored a fun filled half-day event at the Auburn Swim Centre where 18 youths enjoyed PADI Discover Scuba followed by the benefit of a motivational speaker, then ended with a BBQ. Kicking off at 10am, the owner of Geo Divers, Judith McDonald – a PADI Master Scuba Diver Trainer – gave an introduction and a briefing about the days’ events. The boys and girls who were aged between 15-18 years, were broken up into groups and were given a presentation by PADI Instructors: Norman Ezzy, Brigit Jager, Graham Miles, Les Goltman and assisted by Elizabeth Tiems. Then, after all the youths had been completely kitted up with tanks and scuba gear – it was into the pool for their PADI Discover Scuba Diving experience. They went through a variety of skills in the water under direct supervision from their PADI Instructors. They learnt how to use the scuba equipment and how easy it is to move around underwater while wearing the gear; what it’s like to breath underwater and whether they were comfortable with it and other basic skills and safety rules. It was obvious to those attending that the kids had a great DSD experience making the event a very successful day. “It was a different experience breathing underwater but I had a lot of fun in the pool. The instructors were great and they made it really easy to do the skills”. Judith McDonald explained how Geo Divers have been involved in voluntary community programs for about 20 years. “The last 12 years we’ve had a far better involvement with the local community through the PCYC, through Kids West and different organisations that assist children who are not as privileged as others, or those who need extra care or extra experience. We’ve had a fairly active program over the years and sponsor this type of activity between 4 and 8 times a year, some through scouting groups, the PCYC, school groups – some who have the capacity to pay and those that don’t. Out of each group that we work with, we usually get three of four kids that approach me and say – I want to become a scuba diver. We usually find ways of making that happen.